The location was excellent, the room was clean and convenient, Stavros was incredibly friendly, helpful, and accommodating. Would definitely stay here again if we return! Our host was absolutely lovely! The property itself was very clean but starting to show its age. We only stayed one night it was quiet and comfortable. 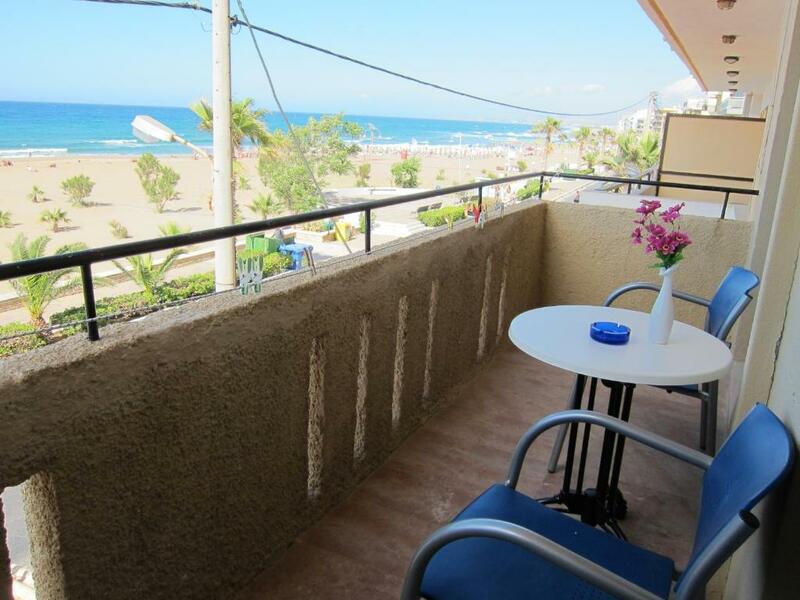 Nice little apartment, within walking distance of beaches and old town. Basic facilities but suited us well. Everything was amazing ! Really if you're looking for vacations while you don't need to worry about anything, pick this place immediately. Fully equipment room, astonishing view from the balcony, great location, hospitable hosts. I must admit that bathroom was a big positive suprise, cause in greek hostels there are usually poor quality showers... Here in Seaview Apartments we had very nice, modern, well-designed bathroom, which makes our stay even more comfortable. Thank you for making our stay in Retimno so perfect ! Great hosts, superb location. Although they have an early check-in time, we contacted the hosts and were able to collect the keys at 1:00am. 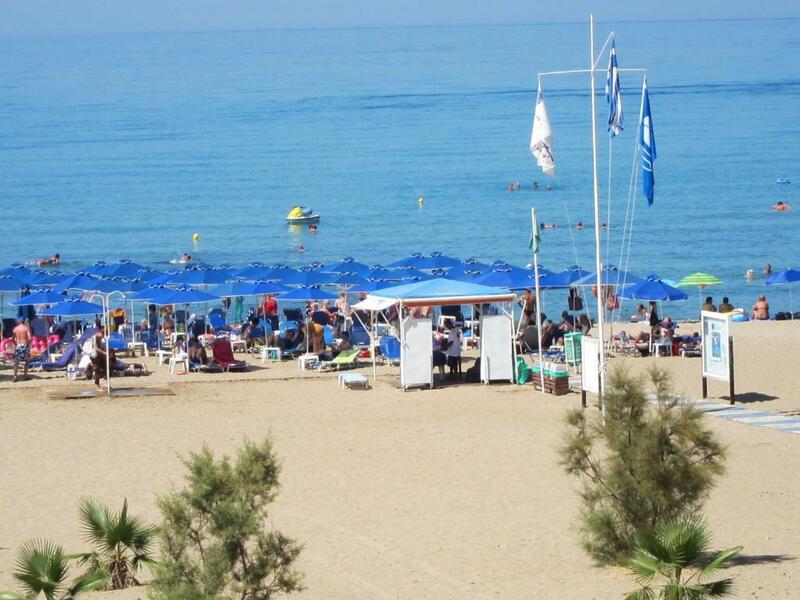 Good location at a walking distance to the center and in front of the beach. Confortable and clean room. The owner was very nice and helpful. 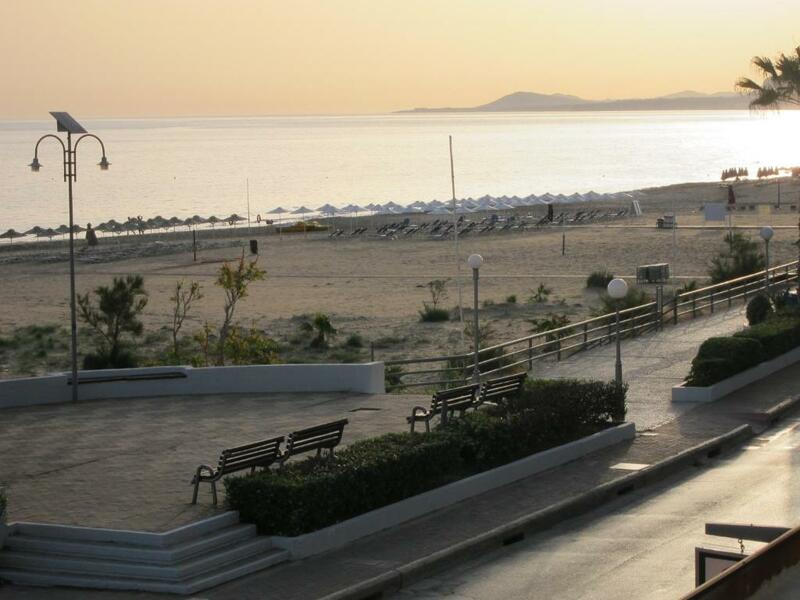 The location was good, just a short walk from the old town and we had a beach view with beautiful sunsets. The studio was very clean, the bed was comfortable and the property owners were extremely friendly and welcoming. Best location, near to the beach aswell as the city. Amazing view. Stavros was very friendly and extremely helpful. Appt nice and clean. El anfitrión siempre disponible y muy amable. Llegamos tarde al rededor de la 1am y el nos estaba esperando para entregarnos las llaves y recibirnos. Balcón con vista a la playa. Habitación muy limpia. 15 minutos caminando hacia el centro. Sin dudas volvería!! Lock in a great price for The Sea View Apartments – rated 9.3 by recent guests! In the heart of Rethymno town, these studios and apartments each include a kitchenette and balcony. The sandy beach is right on their doorstep, right across from the building. 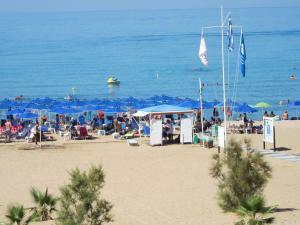 The elegant, air-conditioned Sea View Apartments are decorated in warm colors, and feature a private bathroom. Most units offer panoramic sea views, while others overlook the alley. Free Wi-Fi is provided. Guests can find shops, restaurants and bars right outside the Sea View Apartments. The Fortezza is just half a mile away. The staff at the Sea View Apartments will be happy to assist you with car rental and offer information about Rethymno and Crete. Free maps are provided, and guests are free to park their vehicle right outside the property. When would you like to stay at The Sea View Apartments? Studios have private balconies, overlooking the sea and the Venetian Castle. Apartments have a fully equipped kitchen and a balcony that overlooks the picturesque alley. This apartment has a tile/marble floor, balcony and dining area. House Rules The Sea View Apartments takes special requests – add in the next step! The Sea View Apartments accepts these cards and reserves the right to temporarily hold an amount prior to arrival. Please inform The Sea View Apartments of your expected arrival time in advance. You can use the Special Requests box when booking, or contact the property directly using the contact details in your confirmation. Room -> the only downside is that the shower plate is a bit small and has a curtain that easily gets stuck to you while you wash yourself and you end up spilling water outside – anyway, in Greece many bathrooms have showers that don’t have any kind of protection (no curtains or walls). If only the shower had plastic/glass doors, it would be perfect. WIFI-> intermittent signal sometimes. Staff -> Stavros, the owner, is an amazing host that will go the extra mile to help you, give you advice and be always available for anything you might need during your stay: prior to the booking dates a detailed map with indications to the apartment from anywhere you might come from as well as highlighted free parking spots in the neighbourhood, real-time help to find a parking space if you arrive during peak time, a map of the city with , information of all services of the neighbourhood and loads of tips and advice to make the best of your trip as well as very pleasant conversations about travelling experiences, Room -> spacious and luminous room with a/c and fridge in full working order, the bed is very comfortable, and there is a small kitchen in the room. The balcony is spacious and has a string to hang your beach clothes if needed. There is also a sunshade you can take with you to the beach free of charge. Cleaning -> excellent standard, and toiletries are provided daily. 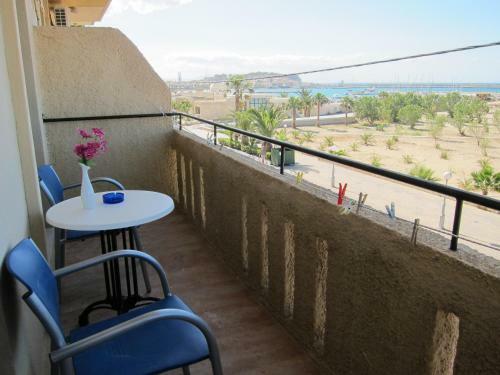 Location -> the apartments are literally sea-view, which is delightful – the area is quite busy but the apartment windows are well-isolating so noise is not an issue. The location is really within a short walking distance to the town center (15min aprox at a normal pace). Parking availability -> despite being a busy area, you can easily find a parking space, except for peak hours (after 7pm) in which you might need to go around for a little longer but you will eventually find one close-by. Location, staff, amenities. Easy to check in. Ugly old bulding and "reception" space. But the room is nicely renovated. The balcony was small and the front was concrete ,which didn't look very nice, but we were able to sit out and enjoy the lovely sunsets.